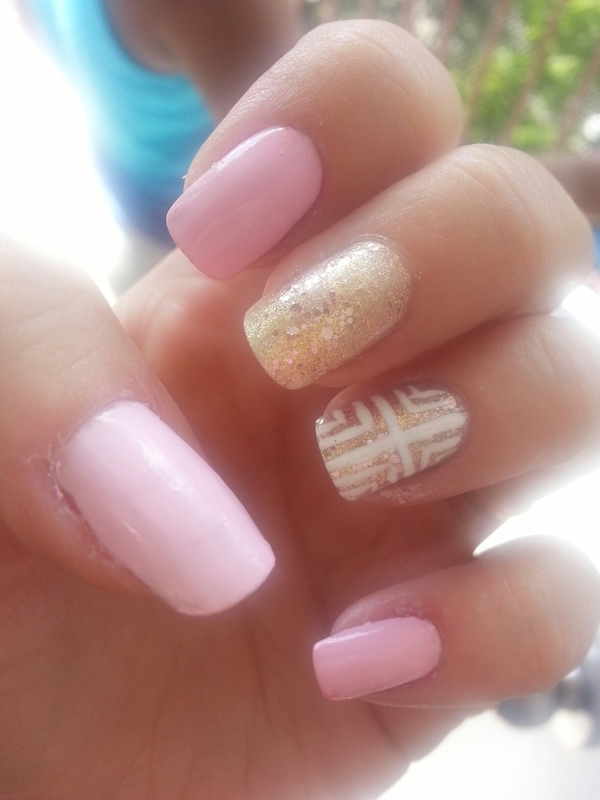 I love this baby pink and gold combination. I did not come up with this design myself , I saw a photo on Google and really liked it so I tried to recreate it. 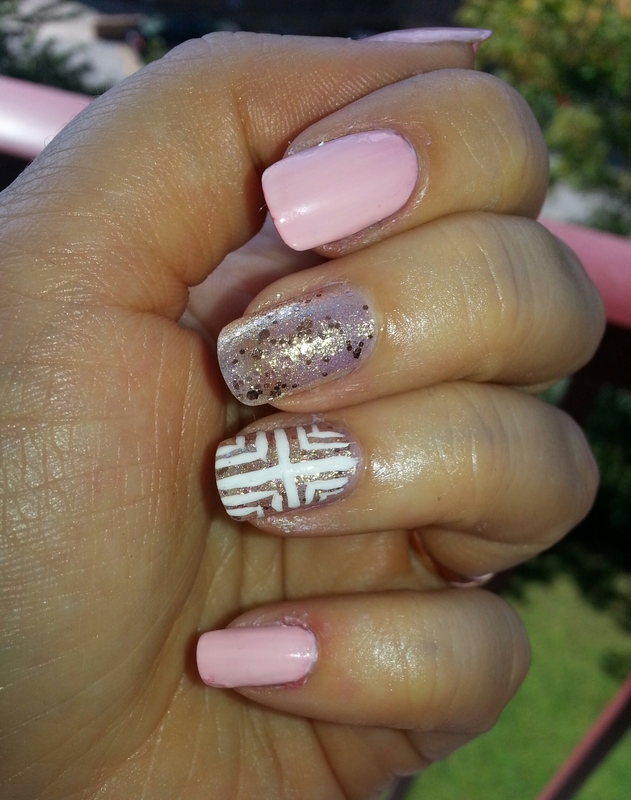 I think a soft pink and gold go really nice together and this tribal design on the ring finger adds a little something extra. 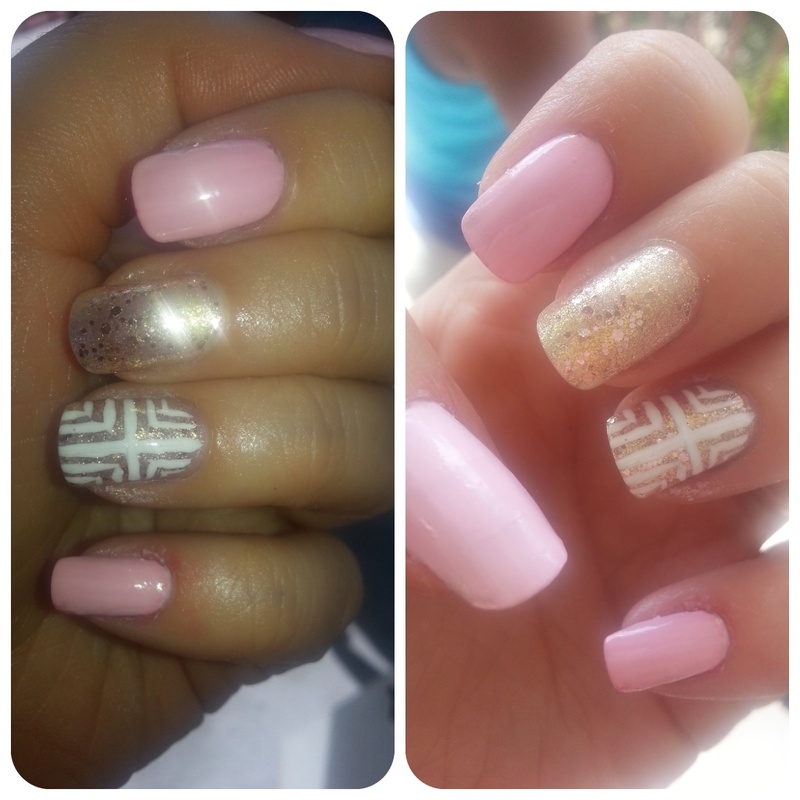 The baby pink is by Sally Hansen and the gold is by Maybelline.